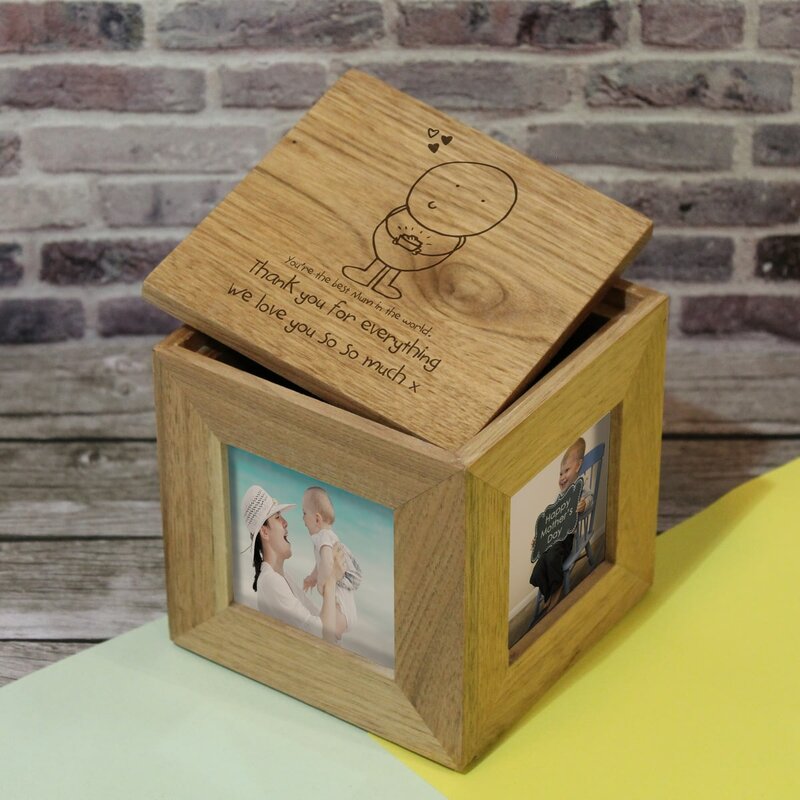 Say 'Happy Mother's Day' in style with this bespoke Wooden Photo Cube. 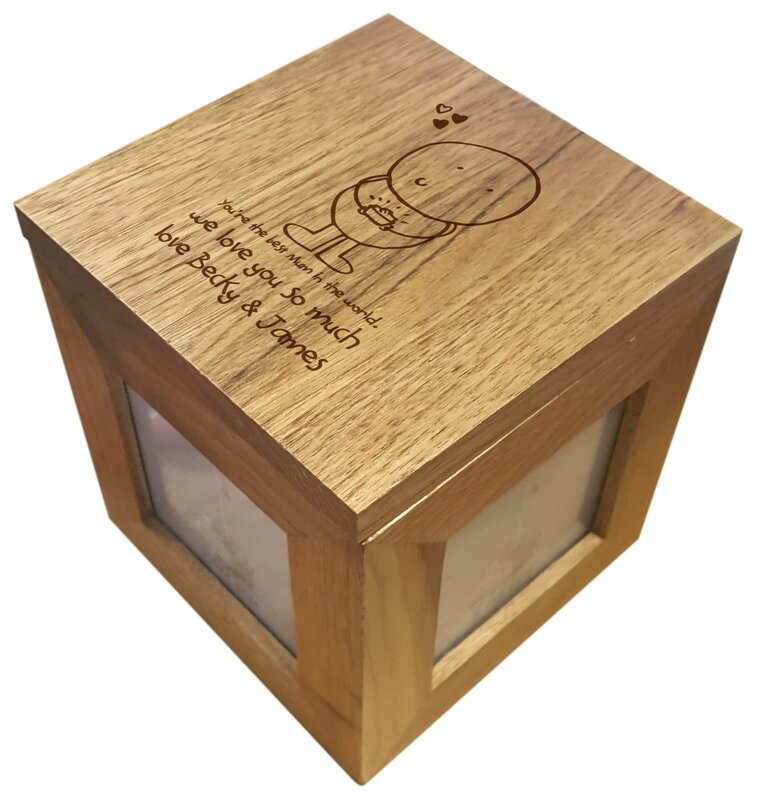 Our Chilli and Bubbles cartoon character is printed directly on the cover, letting Mum know how great she is, and we add an extra touch to the gift by including your own Mother's day message underneath. Say 'Happy Mother's Day' in style with this bespoke frame.